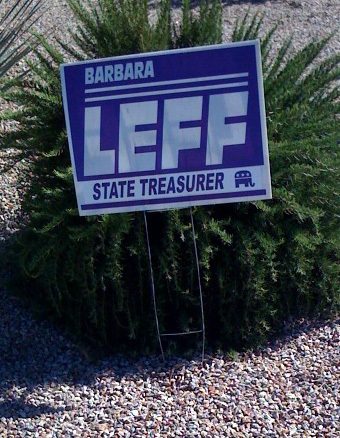 Barbara has always impressed me as someone who can get the job done. She is a common sense conservative who truly understands the importance of less bureaucracy and lower taxes. Health insurance costs are rising dramatically. More people are finding themselves unable to afford health insurance. One of the major factors for the outrageous increase in health insurance premiums is the cost related to malpractice claims. Large malpractice awards raise the cost of insurance for everyone. But more significantly, lawsuits that are filed that have no merit add a tremendous cost to the system and do absolutely nothing to protect the public. I sponsored SB 1113 in 2004 to address the problem of lawsuits filed and pursued before there is evidence that the person being sued did anything wrong. These are the cases that trial attorneys files with the hope that sometime during the discovery phase, information will be found that proves the defendant did something wrong. In fact, often the trial attorney hopes the defendant will just settle to avoid the costs associated with depositions. The costs are high in attorney's fees, time lost from work and the emotional trauma of being sued. Even when there is no evidence that malpractice has occurred; the person sued is forced to defend himself. The insurance company incurs significant costs preparing a defense and these costs are passed on to everyone in higher insurance premiums. SB 1113 adds licensed healthcare professionals to the Affidavits; Expert Testimony Statute. Under current law, if expert testimony is going to be required in a case against a licensed professional, there must be at least one expert who will say the lawsuit has merit before it can move forward. This would occur before the stage is reached where there are huge costs incurred in both time and legal fees. This law was passed in 1999 to stop lawsuits that did not have merit but were costing licensed professionals a great deal of money and time before the case was ultimately dismissed. Current law addresses those lawsuits where no expert can be found (anywhere in the country or in the world) to give a preliminary opinion that the case has merit. The current law allows for plenty of time for an expert to be found with a Judge being able to extend the time indefinitely. The current statute is working well for all the professions covered by it. Even lawyers are covered under the current statute! The original bill in 1999 covered all licensed professionals except those in the healthcare professions. Healthcare licensed professionals were left out of the bill because, at the time, there was thought to be an alternative method to screen out those lawsuits without merit. There had been a panel under the State Bar to deal with these issues. That is no longer the case and in fact it never worked well when it was in place. This bill strikes the language that excluded healthcare professionals. Nothing in this current statute prevents a legitimate lawsuit from moving forward. It only asks that there be some reason that someone is being sued. No one should be sued unless there is some evidence that malpractice has occurred. Arizona is facing a crisis. Insurance rates are rising, doctors are retiring earlier and new doctors are not willing to come into this State. The problems of malpractice lawsuits are creating a shortage of healthcare professionals that will have a devastating effect on our future. SB 1113 is a good first step to address this very serious problem. * This general summary is provided for informational purposes only. For further information, see SB 1113, Laws 2004.